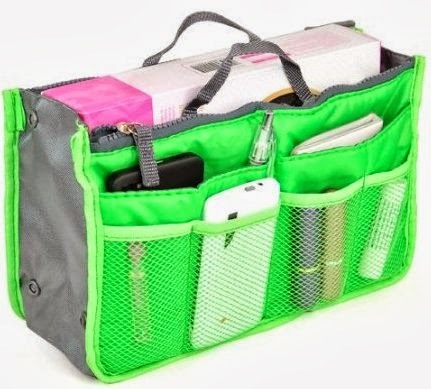 Handbag Insert Cosmetic Purse Organizer (Green) - Only $3.15 Shipped! Check out this Nylon Handbag Insert Cosmetic Gadget Purse Organizer (Green) for Only $3.15 + FREE Shipping! *Several different colors to choose from (prices vary) and GREAT Reviews! Package included: 1 x Handbag Organizer. | This is a brand new handbag organizer. You won't forget your lipstick, bank card, phone in your other bag ever again. Just simply place this in the bag you are going to use for the day! No more rummaging about in the bottom of your bag for that 'lost' item now you can keep everything easily accessible with this handy organizer.